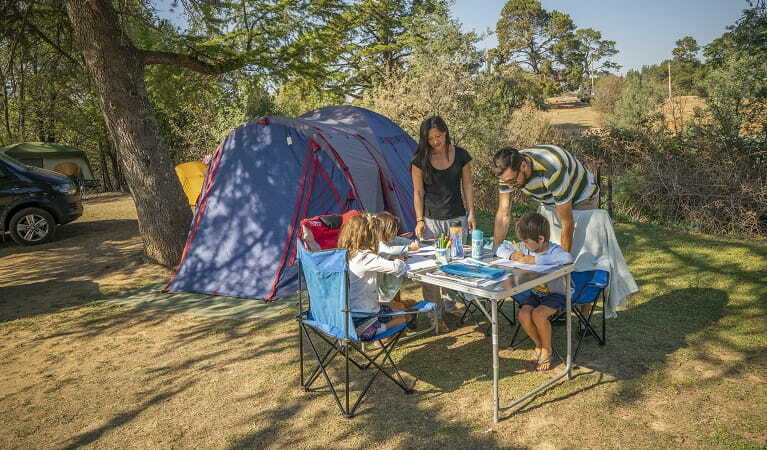 Village campground offers exceptionally convenient camping with good facilities close to all the heritage attractions of Hill End. 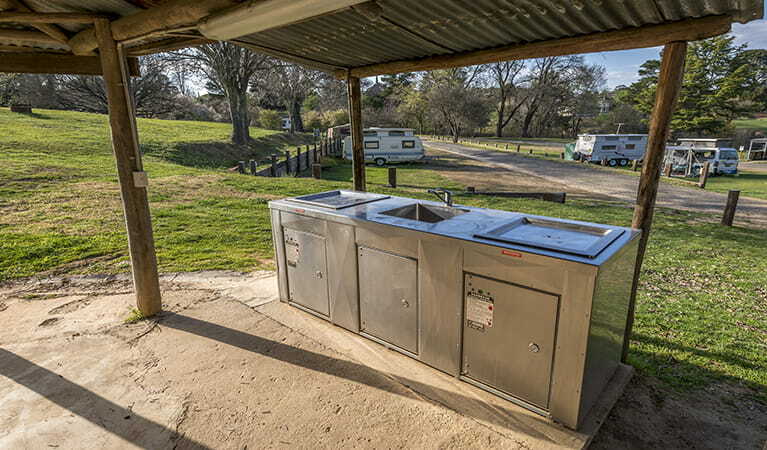 It’s perfect for caravan camping. Check in time after 12pm, check out time before 12pm. A maximum of 2 powered sites or 10 occupants in unmarked sites can be booked in one customer name. 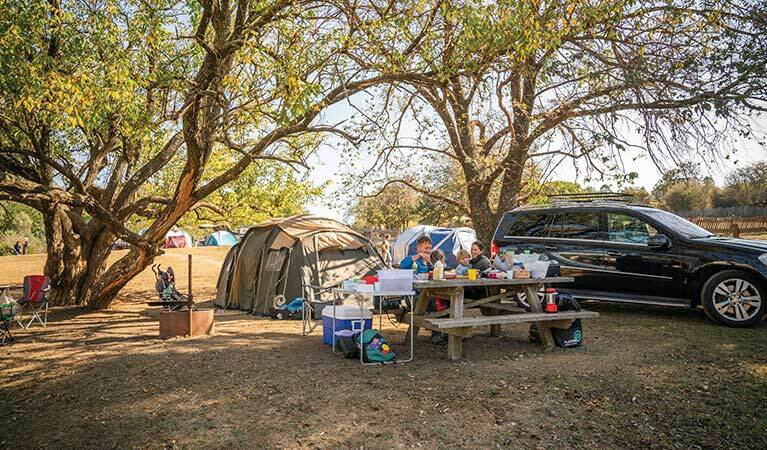 Village campground has powered and unpowered campsites and is a great base for a family weekend spent discovering the living history of Hill End. 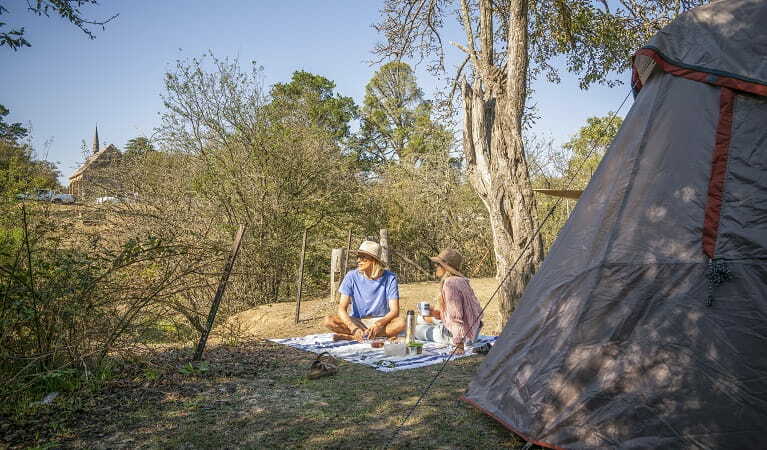 A bonus of camping less than a kilometre from the centre of Hill End is that if you’ve forgotten any creature comforts – or something more vital – you can walk to the general store where you’re sure to find what you need. Or if you fancy a change from a picnic or barbecue why not stroll into town and grab a bite at the Royal Hotel? Been on the road for a while? You can even wash, dry and iron your clothes at the new laundry here. 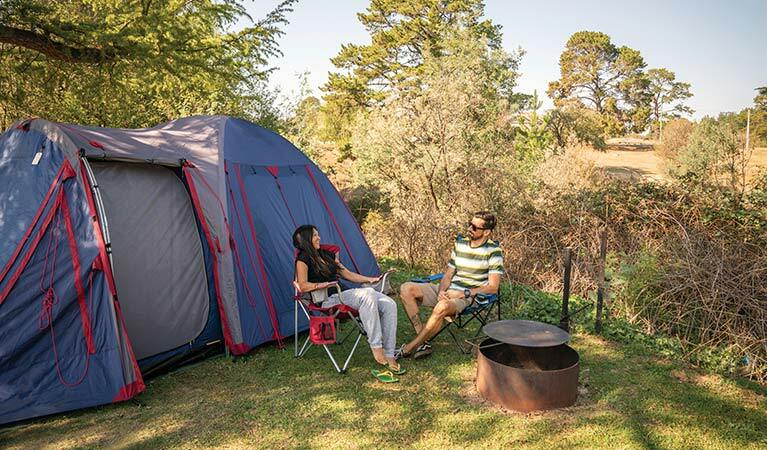 Camping has never been so easy. 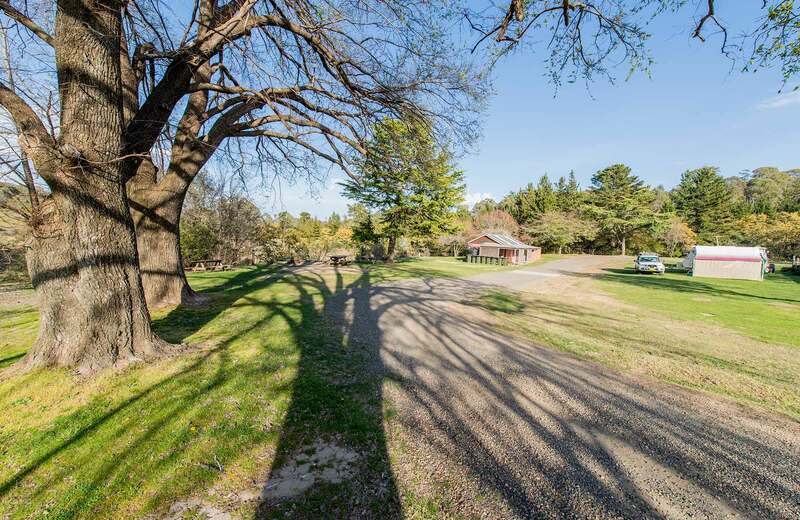 Hill End Historic Site is always open but may have to close at times due to poor weather or fire danger. Contact hours: Monday to Friday, 8.30am to 4pm. Closed weekends and public holidays.